Lately on Twitter I have seen a lot of different people posting about how Twitter should sell to different companies. The main company most people think Twitter should sell to is Facebook. This seems like a good idea because both seem to mesh well together and both are growing quickly and have such a user base. In reality Twitter may have a lot of users and may be growing every day but it isn't quite ready to be sold. Facebook has been around for a long time and allowed for enough development to be sold. Facebook had ad space and implementing even more ads and different things was much easier then it would be for Twitter. At this moment Twitter has not broken into ad space. This is great for us users and has been a positive in the growth. Times are rough in the Economy though and at some point this will have to change. Especially with the rate that Twitter is growing at. The big question is HOW can one advertise on Twitter? Well, many people have found using personal spam accounts and bots sending out links has worked for them. The issue here is Twitter is not seeing any money. 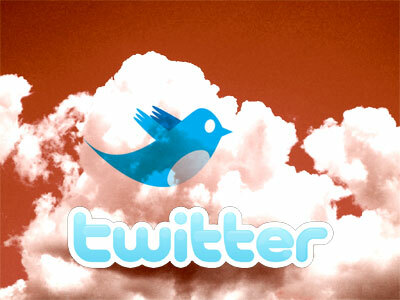 Twitter could put banners on the website but the majority of twitter users use either mobile devices or applications. Twitter could send out an ad every couple of tweets or every hour, but it could kill Twitter. Twitter just hasn't developed enough of a base of users to risk something like that. Until Twitter can figure out a way to sell ad space and distribute it effectively it should not sell or even think about selling. And if Twitter were to be sold to Facebook I assure you we would be spammed with so many ads about weight loss and crap that you would want nothing to do with Twitter anymore. So, all the people that think that Twitter should sell to Facebook I just have one thing to say to you... SHUT UP! Seriously, I don't want to see Twitter destroyed. Thanks!